Women Shaving Face: Does Shaving Make You Look Younger? Looking to up the ante in your skincare protection plan? Ferulic acid may be your missing ingredient. You know the expression, “the sum of the whole is greater than its parts?” That is certainly the case when it comes to the combination of ferulic acid, vitamin C, and vitamin E. The latter two are known to improve skin health as the result of their immune system boosting and anti-aging properties. Ferulic acid is a very powerful anti-oxidant and it’s found in many plants – yet another reason to focus on a plant-rich diet. Antioxidants kill free radicals inside the body and are celebrated for their cancer-fighting and cancer-preventative properties. What many people don’t know is that the same free radicals that cause cellular damage linked to cancer, also hinder the regenerative properties of skin cells. Thus, in addition to neutralizing free radicals, ferulic acid also helps to restore skin cells – boosting collagen production and replenishing lipids. Together, this leads to smoother, firmer and younger-looking skin. 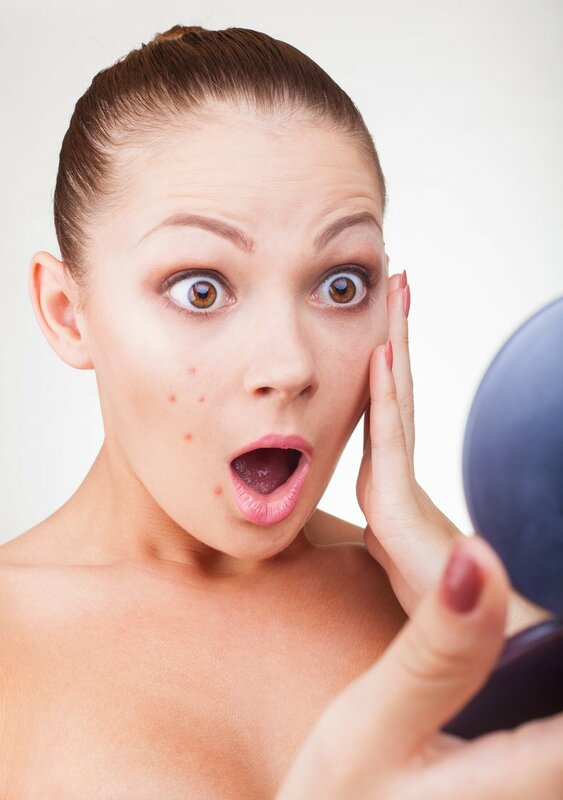 So, in addition to preventing and correcting sun damage (called photodamage in the dermatologic world), the addition of the antioxidant ferulic acid also reduces the appearance of darker sun spots, fine lines, and wrinkles. Plus, when used in addition to skin care products containing vitamins C and E, and in combination with a high-quality sunscreen product, ferulic acid has been shown to work better at blocking UV rays than sunscreen used by itself. The serum works best when applied after cleansing and toning, but before applying any other skin care products – including moisturizer or makeup. 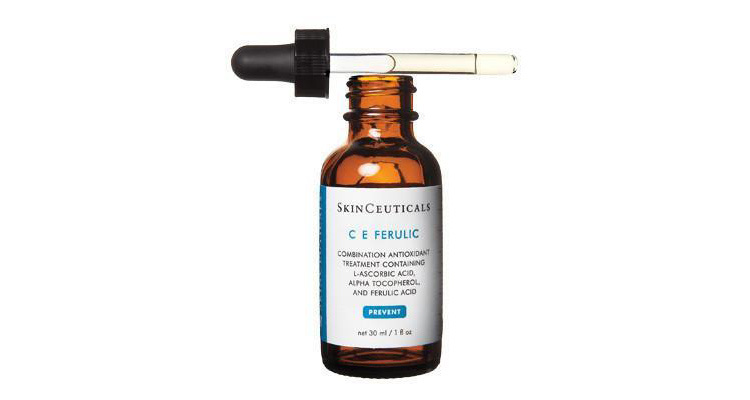 FYI: This serum lasts (without washing) for up to 72-hours, so while you should reapply sunscreen as directed, there is no need to refresh your C E Ferulic products. 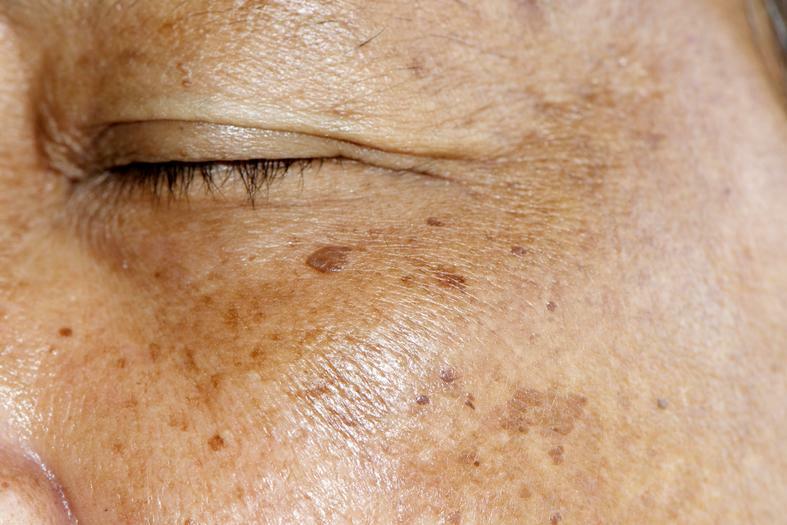 Your face isn’t the only one that benefits from sun protection and anti-wrinkling benefits. Your neck and décolletage are also forming a front line against the elements and the environment so, apply your skin care products, ferulic acid serum, and moisturizer there as well. It’s true that ferulic acid, vitamin C, and vitamin E do a fair share of work to block UV rays. Even so, applying your best chance of providing well-rounded coverage and proactive protection from the sun. We recommend using a moisturizing product that includes sunscreen – streamlining your morning routine. However, you can also use a sunscreen by itself (like SkinCeuticals Physical Fusion UV Defense SPF 50), or look for a tinted sunscreen product, alleviating the need for foundation. In addition to your skin care regimen, you can boost the natural absorption of ferulic acid by adding it via natural food sources. Higher concentrations of ferulic acid are found in rice, wheat, oats, pineapple, beans, artichokes, nuts and most fruits and vegetables. Are you looking for a more comprehensive approach to skin care? Schedule a consultation with one of the licensed aestheticians here at Skin Deep. We provide a comprehensive analysis of your skin and provide personalized recommendations based on what we learn. Skin Deep maintains a cutting-edge selection of the most innovative, research-based skin care products on the market and we look forward to sharing them with you. previous post: Can You Moisturize Too Much?